Crown Roofing provides durable, dependable Vancouver roof repair and replacement services for home owners throughout southern British Columbia. Since our founding more than a century ago we’ve covered more homes than any other BC roofing contractor! Our focus is on protecting your home, your possessions and your family from the rain, wind, snow, sun and ice that are all part of our Lower Mainland weather. Your roof is your home’s first line of defence against the elements, and requires a BC roofing company that is skilled, experienced and dedicated to the highest level of service. From our headquarters in Richmond, our highly trained installation crews are ready to provide quality roofing services to our neighbors in the surrounding area. Whether it is an emergency repair after a storm, restoring a tired roof, or a complete roof replacement, Crown Roofing is the roofing company in BC you can trust to treat you with honesty, integrity and respect. We focus on the entire roof system of your home, including the roof deck, ventilation, flashing and gutters. All must be coordinated and work together in order to provide the maximum protection against the elements. A BC roof must stand up to a unique set of environmental conditions, and requires a roofing company that understand the weather patterns that are distinct to our region. If a storm, wind or other catastrophe damages your roof, make sure your first call is to Crown Roofing at 604-370-6288. Our emergency response team will conduct a rapid inspection and perform short-term Vancouver roof repairs to minimize any damage. Then we’ll provide a complete recovery plan to help restore your BC roof to its original condition. 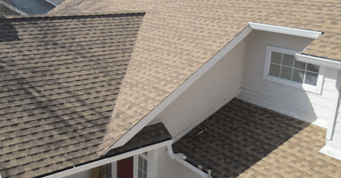 Repair Or Replace Your BC Roof? Not all leaky roofs need to be replaced. 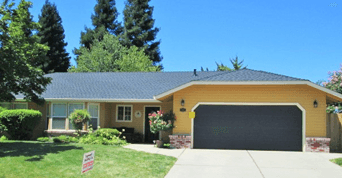 In many cases we can make repairs that restore your roof’s integrity and extend its life for several years. It all starts with a professional inspection and evaluation that will provide an honest assessment of your roof’s condition. From there we can decide how to best proceed, whether it is with a repair or full replacement. Crown Roofing is one of the only roofing companies in BC to offer a free roof inspection and evaluation.